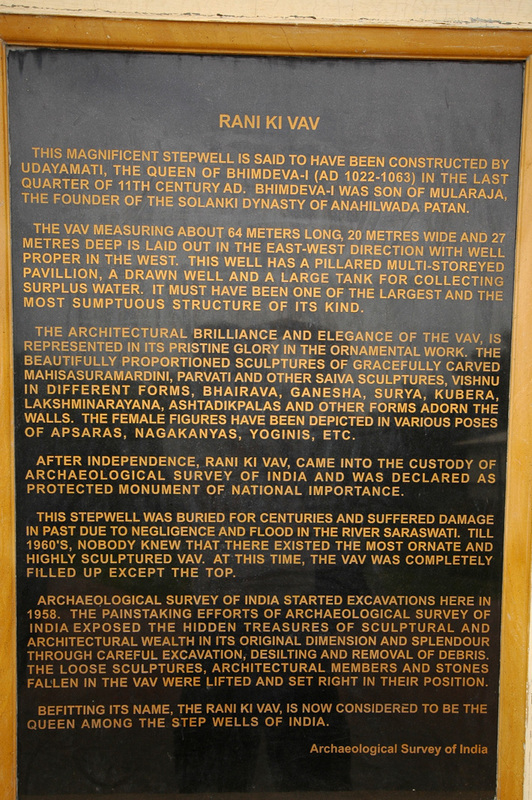 The old Gujarati capital Anhilawada Patan, 2km northwest of today’s dusty town, served several Rajput dynasties and the Solankis between the 8th and 12th centuries before being taken by the Mughals. 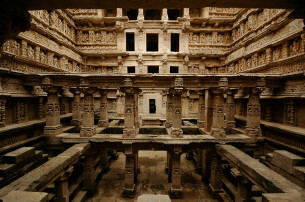 In 1411 it began to fall into decline when Ahmed Shah moved his capital to Ahmedabad and today few signs of this history remain except for Patan’s beautiful and well-restored Rani-ki-Vav baoli (daily 8am – 6pm, Rs. 100) which is certainly worth the 130 km day trip or stopover to/from Ahmedabad. 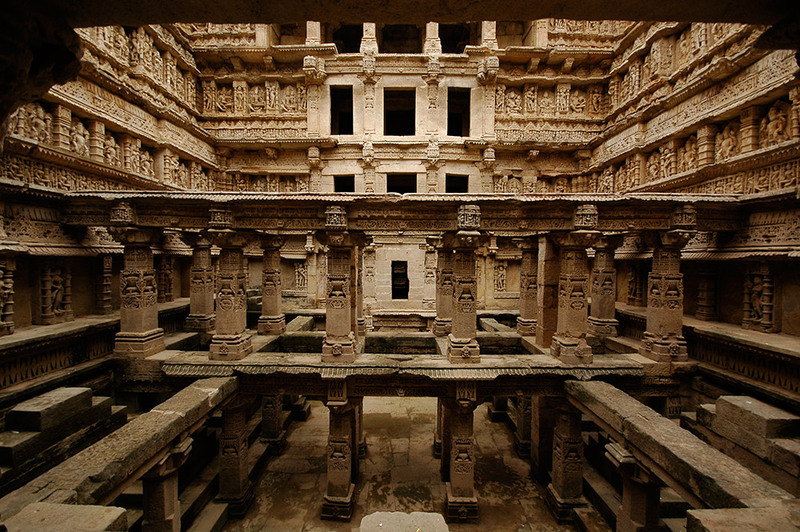 Built in 1050, for the Solanki queen Udaimati, it is the oldest and finest in Gujarat, and has been brought to life through its excellent restoration in the 1980’s. Prior to that it had been almost completely hidden and protected by silt, with only its top exposed. Its carvings are exquisite and the various incarnations of Vishnu are something to behold. After gaping at these well-preserved sandstone beauties take a short drive into Patan town to wander the quaint old quarters’ streets of wooden havelis and to look at its famous export (especially to royalty) Patola silk saris, with bright, distinctive patterns, some of which fetch up Rs. 70 000 and can take upward of six months to create.